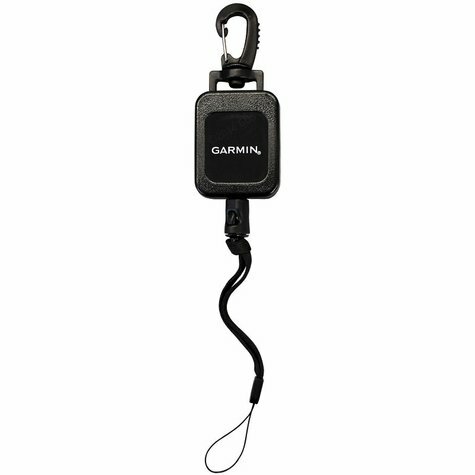 Garmin Retractable Tether / Lanyard. $24.99. 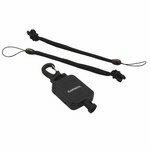 The Garmin retractable tether is one of my favorite ways to carry a Garmin Astro or a Garmin Alpha. Biggest thing about your Astro is that you need access to it. But the handhelds are very expensive and you do not want to drop them. So I highly recommend that you tie them to yourself. The tether works great in that it has a clip. It's going to be attached to you, but you can pull it out when you need it. And it retracts by itself. I use them in conjunction with the belt clip that comes along with the Alphas and the Astros. You can't trust the belt clip by itself just because of the way they rotate. If you are walking through the brush you can knock it off very easily. But the tether is going to fix that where if it does come loose then it's still going to be attached to your vest. It's still going to be attached to your belt loop. I've been using them for a while. Pretty simple. Just slides through the loop here on the bottom. So we have this. Then we take our tether and it attaches. And so now you've got it tied to yourself. Take this, I'll attach this to a belt loop or a loop on my vest. And then I take the clip and now it's hanging. This way I've got access to it. it's not bouncing around on me. I've got easy access to it when I need it. But when I'm through with it I just clip it back in and it's secure. I don't have to worry about losing it. And then the real beauty here is that you've got a safety clip on it so that you can separate it out and you can charge it without having to remove the clip from your vest. Just a great tool. It works well with the Alphas and the Astros. It will work well with anything else that we've got as far as if it has a clip to it. Neat way to keep up with it and have easy access in the field. "Works great with my Garmin Alpha!" Works great with my Garmin Alpha! "Very secure, yet easy to use." Very secure, yet easy to use. "Easy to hook up and use. Worth every cent." Great security for my Garmin Alpha 100. Easy to hook up and use. Worth every cent. 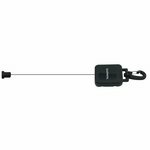 If you have one of the E-collars that this retractable lanyard is compatible with, it's a must have, works excellent!!! Very nice. I used Saturday. Work just the way I wanted too. The tether gives me peace of mind while hunting, knowing that my remote is secured. I was skeptical about this product in the beginning. But now that I have it. I think it's fabulous. I have now bought a second one for my other hunting vest. I highly recommend it, I use it for my Garmin Alpha. Definitely something you need to have with the Garmin Alpha. The brush has pulled the handheld unit off of my coat many times. The lanyard has prevented an expensive loss. Very handy, but only recieved 1 lanyard with my order. I was under the impression there should be two. Works great along with the OEM clip that comes with the Garmin Alpha 100. Like how you can unhook the lanyard and controller from the retractable tether. I keep my Astro in my front pocket of my vest. It's a nice safety feature to keep the controller from ever falling out and getting lost. Very happy with the product with the 8x I've used it. "Gives me the extra security for my Alpha I was looking for." Gives me the extra security for my Alpha I was looking for. Great product. A little pricey, but well worth it. I've only had it for a few weeks. 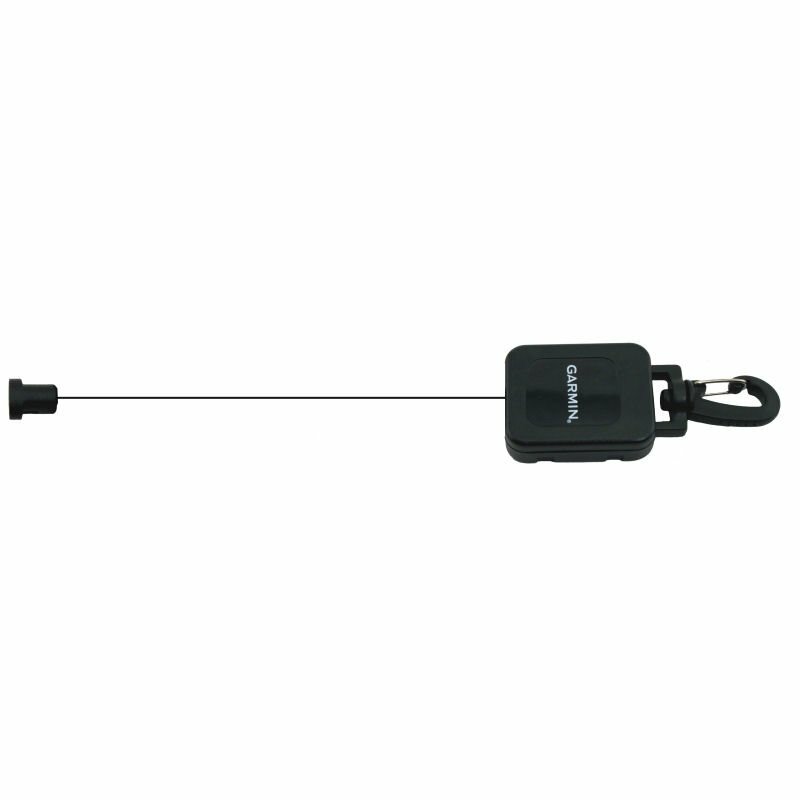 Retractable lanyard is strong enough to hold the entire weight of handheld, which is fairly heavy. Came with extra tether. Easy to use. Clips seem sturdy. I have not used it in the field yet, but I believe it will work well. It is very easy to use with or without a game vest. I was expecting a wider tape instead of the thin string that loops through the tether. Other than that, the unit functions as described. I wish the hang length was easier to adjust. And the clip can be difficult to remove from small belt loops. Garmin has done a great job with their accessories. "The lanyard is the best part of this product. I have come out of the woods in the dark many times with my Astro 320 hanging by the lanyard." The lanyard is the best part of this product. The belt clip has a small tab that keeps getting knocked out of position if I don't press the false button fully. I figured out how to put it back in position so it isn't too much of a big deal. I have come out of the woods in the dark many times with my Astro 320 hanging by the lanyard. 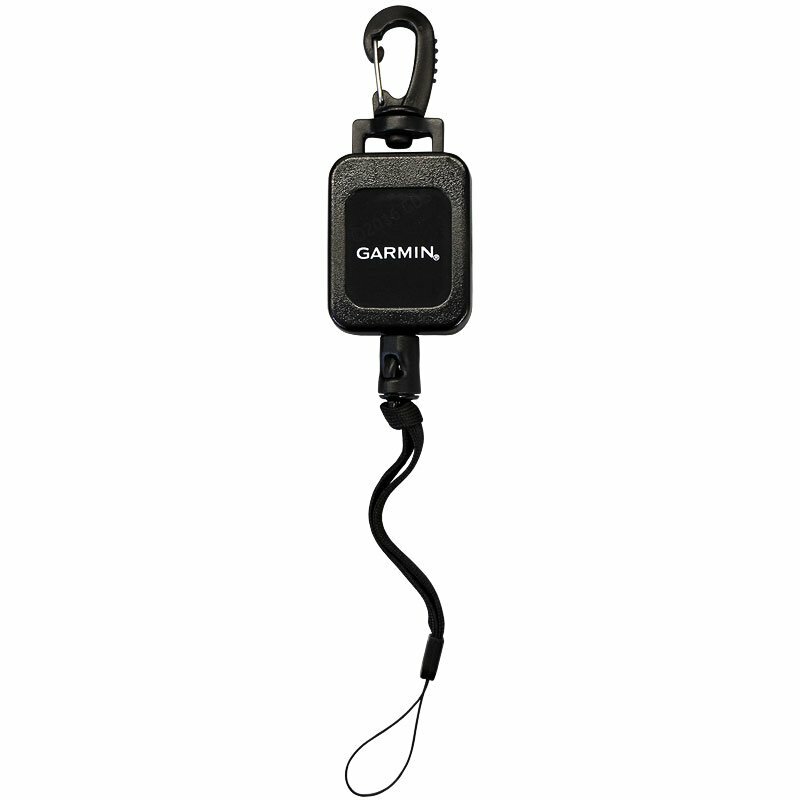 The fact that the lanyard can be disconnected without having to take the retracting device off is convenient also. I highly recommend this product to who likes to keep track of their equipment in the field. 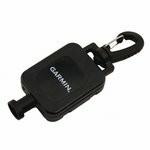 I bought this as a back up attachment for my Garmin alpha, and it works ok. I would not use it by itself as it doesn't seem sturdy enough. It doesn't retract with enough force to pull the alpha all the way up, and the line seems thin considering the price of what it's hooked to. Too long and bulky to use much. Actually probably works fine, just not strong enough to hold Alpha. Shouldn't be listed by Garmin. Bought 2, neither one will, so they really are not compatible. 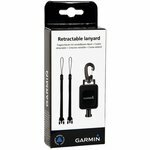 Fits the Garmin Alpha, Astro, Delta, PRO, and Sport PRO handhelds. 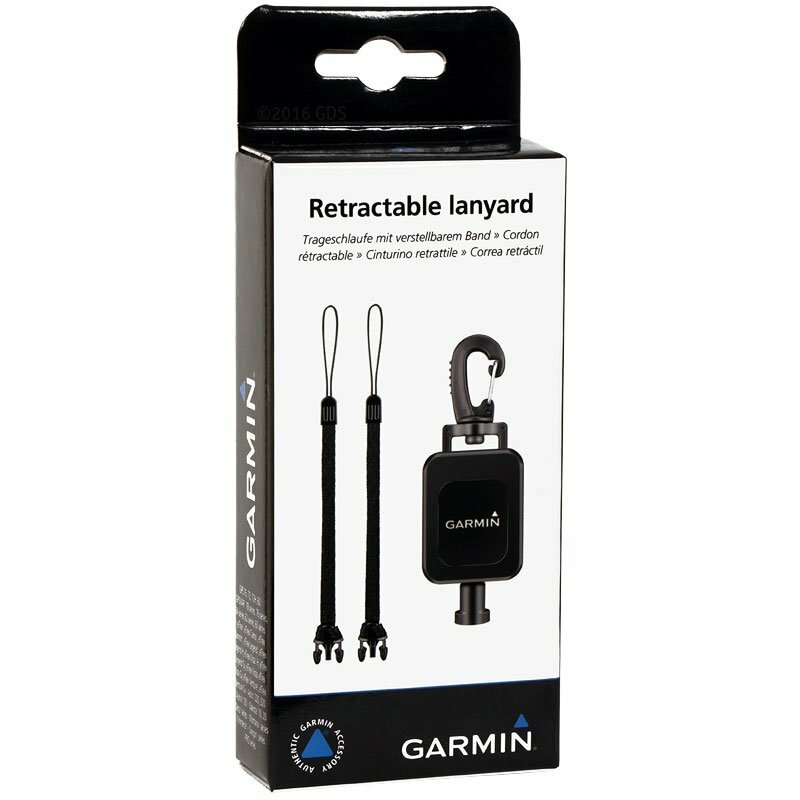 Retractable tether / lanyard for keeping your Garmin handheld close and secure. Includes belt clip, spring loaded tether, and 2 quick-connect lanyards. 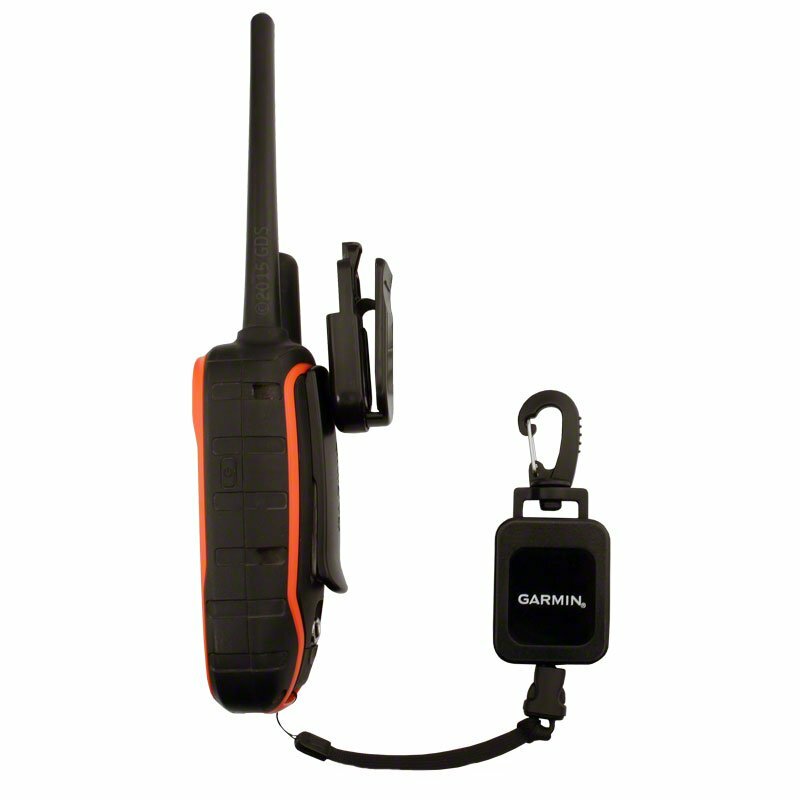 Fits the Garmin Alpha, Astro, Delta, PRO, Sport PRO and inReach handhelds. NOTE FOR ALPHA USERS: Lanyard will not completely retract a hanging Alpha handheld. For the retractable tether to function properly with the Alpha, it must be used in conjunction with belt clip provided with the Alpha system (see photo). 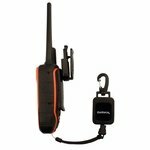 Also fits the Garmin GPS 60, GPSMAP 60, 60Cx, 60CSx, GPS 72, GPS 76, GPSMAP 76, 76S, 76Cx, 76CSx, eTrex, eTrex Camo, Summit, Legend, Legend Cx, Vista, Vista Cx, Venture, and Venture Cx models.